Get ready for an overload of pics because I think I love every single piece Carmakoma has made for us this autumn and winter! 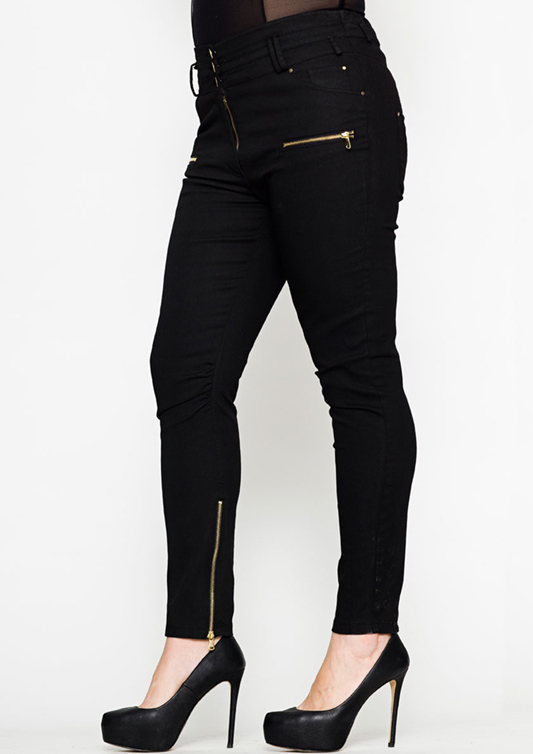 They are known for their rock chick style in mostly black and this time they even have leather pants in the collection! I don’t know if it’s real leather but I can’t wait to get my hands on a pair. My absolute favorite is the outfit from the picture above. Love the tough look of the leather pants against the sweet flowery top. Second favorite is the grey and black spotted dress. OMG! Everything is so amazing!!! I am in love with that jumpsuit! wow !!! great looks 🙂 love it!